A router is a pretty crucial thing to have in your home, especially for your phone (unless you have unlimited data, but still). But there's a lot more involved than simply picking the cheapest or most expensive one — I mean, you have speeds, frequencies, features, firmware, range, and security to consider. 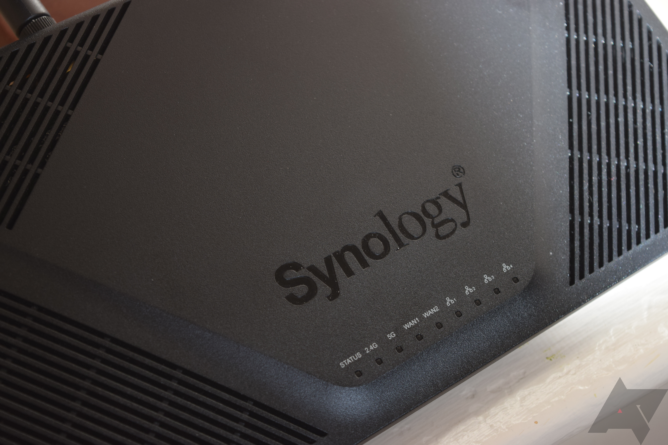 Luckily, the RT2600AC by Synology provides some of the best performance in all of those categories without being needlessly expensive. For lack of a better way to say it, this is one hell of a beast. But I don't want to spoil one of the few router reviews to be featured on Android Police, so let's dive in. For disclosure, I have used the RT2600AC for almost a month coupled with a Motorola SB6183 modem and Comcast Xfinity Blast Pro (200Mbps) service. Range I never had any trouble with remaining connected in my home, nor even across the street. Speed While this is related to the overall connection speed that I get from my ISP, the RT2600AC holds its own when it comes to speed and connection reliability. Features Look no further if you like features. Stellar firmware, NAS support, VPN Plus... this list goes on. Stability I am used to rebooting routers once a week, if not more. The RT2600AC has gone nearly a month without acting up or needing a reboot. 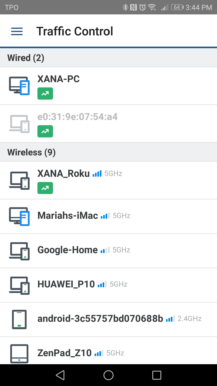 All devices remain connected, even under serious load. 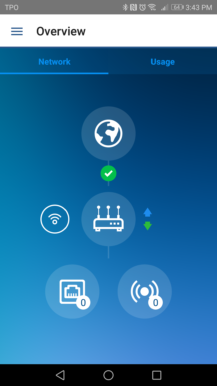 Synology Router Management Most router interfaces are clunky garbage, but Synology has created the most advanced and user-friendly firmware I've come across. Number of ports I have seen this complaint from other reviewers and I find that I share it, too. There are only four LAN ports and I wish there were more. No link aggregation While the RT2600 supports dual-WAN, it does not support combining two LAN ports together to create a faster connection. Setup Once the router is up and going, it's great. Getting to that point is one of the more difficult processes I've experienced — it is certainly for more advanced users. 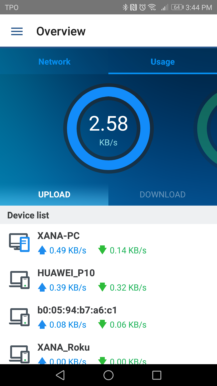 Those who consider themselves to be powerusers will appreciate everything I will mention in the next section, but most people care about how fast and reliable a given router might be. Due to limited circumstances, I cannot compare the RT2600AC to other 2600ac devices, but I can tell you about my experience with it as a wirelessly-connected user. My biggest complaint with this router is the number of LAN ports. 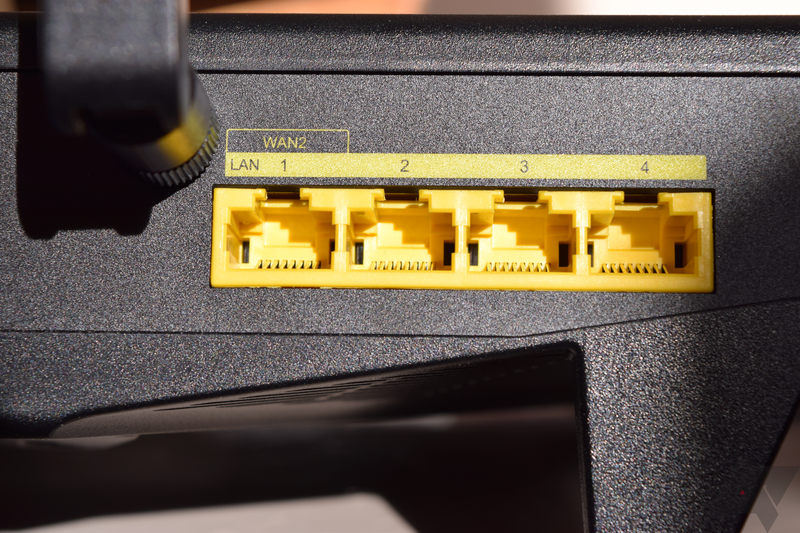 While four is a pretty standard amount to find, a device of this caliber ought to have more — for instance, the Asus RT-AC88U has eight ports. I have hit the point where I will need to invest in a decent switch since I hardwire everything I can (without crowding my home with ethernet cables everywhere). As far as the actual build quality is concerned, this is a pretty standard plastic router. It has a nice heft to it, lending a feeling of solidity and durability. There are several vents along the top to help dissipate heat, helping the RT2600AC to be one of the coolest devices of its class. Almost every surface has something going on. 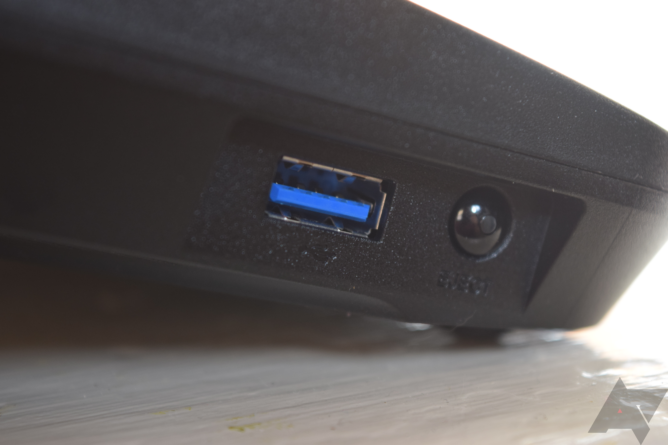 The back has the power, WAN, LAN, and USB 2.0 ports (and on/off switch), the front houses the SD slot, the right side has the WiFi and WPS buttons, the left is where you'll find the USB 3.0 port and the eject button, and the top is home to the status LEDs. Two of the antennae attach to the left and right sides, while the other two go on the back. They can be a bit difficult to screw on tightly, so either use pliers or have strong fingers. 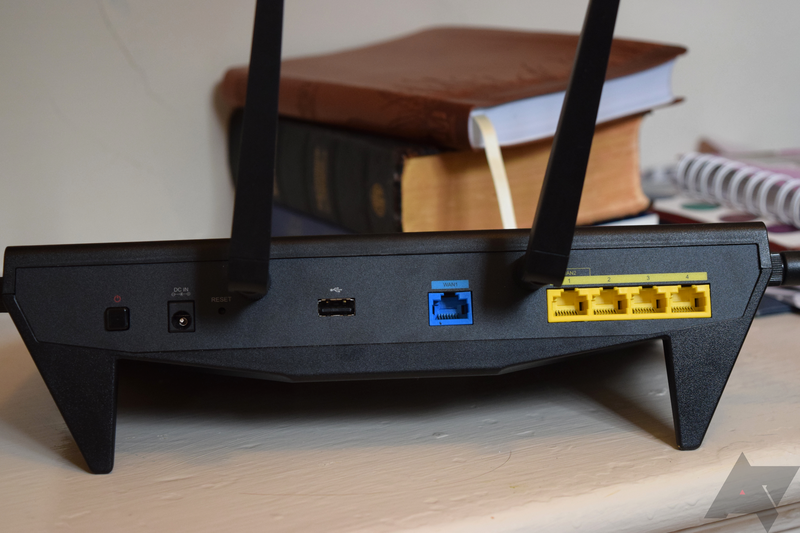 The built-in feet push the router up at an angle, which when coupled with the large antennae, make it rather large and more difficult to fit in smaller spaces than other similar devices. Still, as a whole, it looks aggressive and I'm quite fond of it. 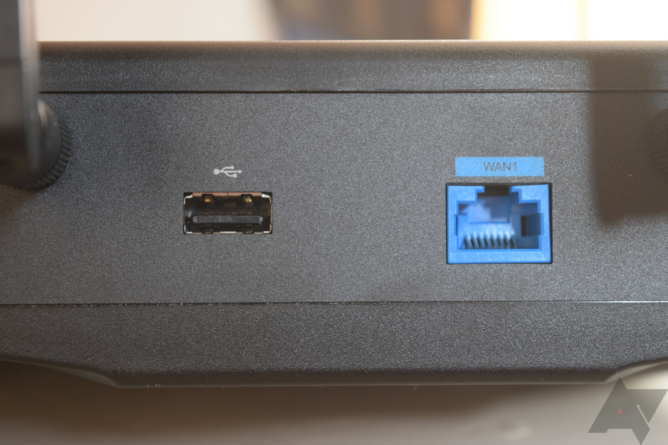 The RT2600AC has a single WAN port, obviously, but LAN port 1 can be converted into a second WAN. In a consumer sense, this isn't all that important for the most part, but it could be in a commercial setting. Going dual-WAN lets you use two broadband services at the same time, but then you're left with only three LAN ports unless you get a switch. It's a mild inconvenience, but worth keeping in mind. I do not have many methods of benchmarking the router's performance in either wired or wireless circumstances. However, I have never experienced a personal networking device that is as reliable as this one. Previously, I was using a Linksys EA6900, a 1900ac router, that I had to reboot every few days after heavy usage. The RT2600AC has only been rebooted once and that was because I moved its power brick from the wall outlet to a surge protector. Range is absolutely spectacular — it easily covered my home, the back and front yards, and about 100 feet up the block. Performance is equally solid: streaming Netflix, YouTube, music from my UPnP server, Plex, and graphically intensive games to my Steam Link, as well as torrenting... none of them phased the RT2600AC. Immediately upon logging into the RT2600AC via the web portal, you start with the setup. You are asked to define whether it will be a router or an access point, which depends on your needs. Odds are, you'll want the former. 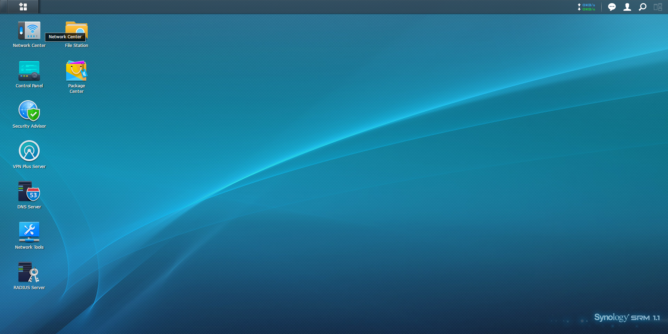 Once you get through the rest of it all, you will be greeted with likely the nicest interface on a router ever. Synology Router Management, or SRM, looks and acts like an operating system (reminds me of GNOME 2 in form and function, to some degree). The "desktop" is where you can place shortcuts to your favorite applications and where all of your windows will pop up. I cannot stress enough how intuitive and easy this is to use and navigate, especially coming from Linksys' or Netgear's interfaces. In the top left is your app launcher where you can access every package installed on your router, from where you can drag them to the desktop to create the aforementioned shortcuts. Some of the smaller touches of SRM include notifications, transition animations, and customization options (icon size, wallpaper, etc) — anyone who has used a modern OS can find their way around the firmware easily. Even the applications themselves are arranged in simplistic ways: Control Panel handles hardware-specific settings like network storage and file access services, LED controls, printer management, notification priority levels, and firmware stuff. 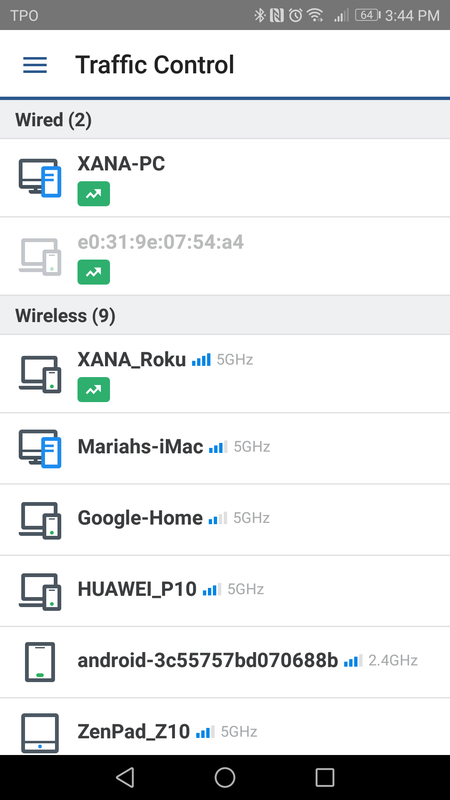 Meanwhile, over in the Network Center, you can check on the connection status or fine-tune some of the Wi-Fi settings, mess with port forwarding and DHCP, as well as use the helpful traffic control/monitoring and security options. The Package Center is where you can have even more fun. 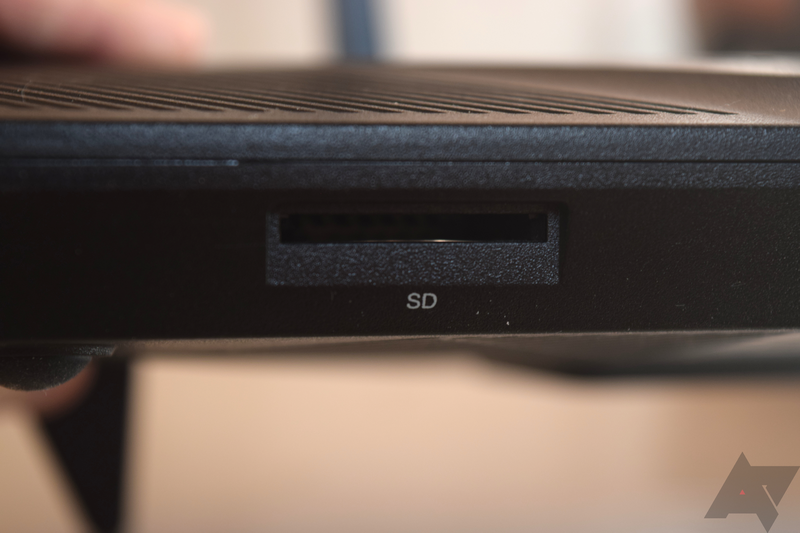 As of writing this review, there are only eight Synology packages in there to install and most of them require some form of external storage (USB drive, SD card, HDD). Some of the more interesting ones are the VPN Plus, Intrusion Prevention (which is an enhancement on the router's built-in security), and the Download Station (which can download from any source like FTP, BitTorrent, and file sharing). All of those packages aren't required to have a stellar experience — the RT2600AC comes packed full of excellence right out of the box. For instance, you can filter web traffic on the router itself, even preventing access to HTTPS sites (which is not something you see too often on routers). One of the settings that I found was the ability to block advertising and malware sites, meaning that anyone on my network could browse almost worry- and ad-free. SRM contains plenty of stuff to see, explore, and tinker with, but it is definitely for a more advanced user. It is simple in its own right, especially with its design and focus on UX, but you won't find a simple plug-and-play setup here. Expect to spend a good few hours setting everything up and to your heart's desire; with port forwarding, Dynamic DNS, and playing with various options like MAC address filtering, I spent almost six hours in SRM. One of my favorite extra features about the RT2600AC is the ability to read external storage, which effectively turns it into a basic NAS. To test this, I used a spare 1TB external hard drive that I had laying around. After reformatting it to NTFS (the router prefers NTFS and ext4), I threw videos and some music on it and plugged it into the router's USB 3.0 port. As a quick aside, for those of you who don't know, USB 3.0 can interfere with the 2.4GHz spectrum... but, guess what: Synology thought of that, too. There's an option to downgrade the USB spec to prevent that interference. That's thinking ahead. Back to the whole NAS thing. It works pretty well and as I would have expected. My Roku was able to see all of the files connected to the router, but it was slightly less user-friendly than Plex. Still, it is a nice feature and can act like a very basic media server. In the end, however, I switched to an SD card to install SRM packages to. Investing in a higher-speed card is recommended, especially if you choose to go with a package like the Intrusion Prevention — you'll thank me later. If you're not into the whole SRM and 192.168.1.1 thing, there is an Android app. It is pretty spartan, but it allows you to get some good information, manage the traffic priorities, and adjust a few security settings. One note about that last one: the app will crash whenever I try to go into the Security section on any of my devices. It's been this way for several weeks now and I have reported the issue to the development team. The sad thing is that this is the section that I want to play with; it lets you remotely manage port forwarding, the firewall, and IP blocking. Synology has quite the library of apps for its products, so they're definitely worth checking out. For our purposes, the other important ones are DS get (a companion for the Download Station package) and VPN Plus, which allows you to access your local network resources. All of the apps are free and the developers are quite responsive to feedback and issues. The question you might be left with is: Should I buy this? The answer to that, as always, depends on your budget and needs. If you're a poweruser or the admin for a large family or small business, then my answer is a resounding yes. If your household is smaller and you just want to connect to your modem and get through the setup quickly, then you might be better off with something simpler like an OnHub (Asus, not TP-Link). If you have a tighter budget, then a mid-tier product from Linksys or Netgear could be worth considering, too. Synology has made a router that any enthusiast could love. Everything in the SRM firmware is easy to find, utilize, and research if you don't understand any part of it. Frankly, the RT2600AC is easily one of the best routers I have ever used. Between the performance, features, and user-friendliness, you will have a hard time finding anything better, especially at this price. At $240, it sits right in the sweet spot of 2600ac routers. Its next biggest competition, the Asus RT-AC88U and Netgear Nighthawk X4S (R7800), are both more expensive for very similar experiences. The Asus has more LAN ports and the Netgear eeks out a bit higher 5GHz performance in some benchmarks that I found, but I do not think that either of those justify the extra cost. This is the router for those who want to create a stable, reliable, and powerful network in their home or business. SRM can be slightly overwhelming at first, but its intuitiveness will have you navigating it like a pro in no time. All of that being said, the RT2600AC is definitely something that I can easily recommend. It requires a pretty steep initial time investment, and there is a learning curve, but it's all worth it to create a network that suits your needs. 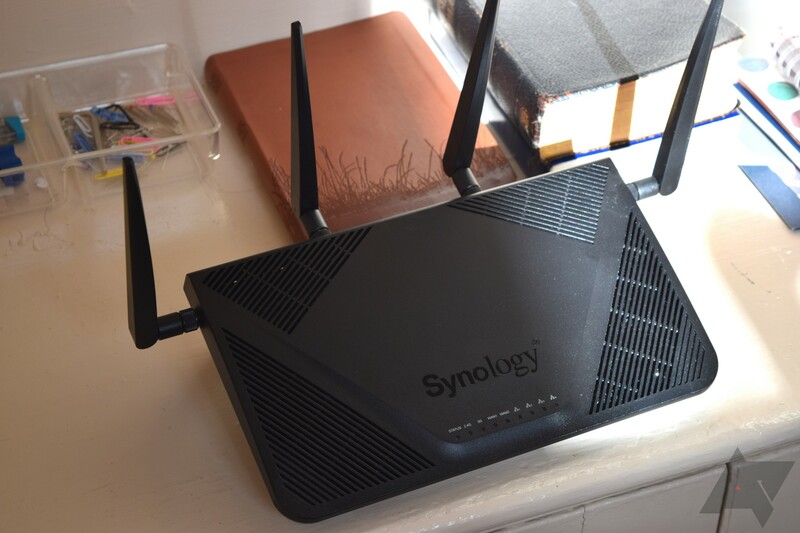 Together with a good internet connection and modem, this beast masquerading as a router is worth it and one of the best you'll find.